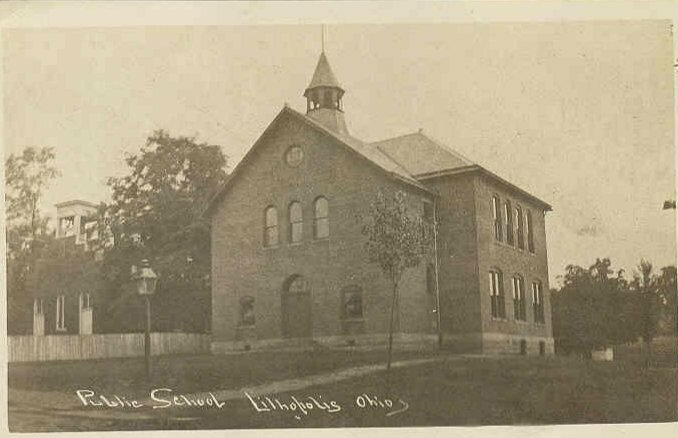 Although this is not a one-room school house, it seemed fitting to show the photo of Lithopolis School on this page. No. 5 School; Land granted by "the Leophart's" in 1820 May have been called "Heister Settlement" and/or "Leophart School"
According to Charles Goslin in 1967, of these one-room school houses, nine were still standing; eight having been converted into residences. The above information was gleaned from "Crossroads and Fence Corners", Charles R. Goslin, ASIN: 0960252614, pp 124-126.